So, you’ve got the podcast idea laid out, and you’ve recorded it. You’ve laid down tracks, mixed down channels, and have ended up with either a video (MP4) or audio (MP3) file of your Podcast. Congrats, you’ve overcome the first hurdle, which (to some) is the hardest. But now we’re tasked with getting the file online and out to the masses, and it’s not just a simple “upload and go” philosophy. We need to know how to get the file into the hands of people that need it, and let people who are exploring stumble upon the file in their search. I am a die-hard WordPress junkie, and there’s very few things WordPress can’t handle – podcasting included. 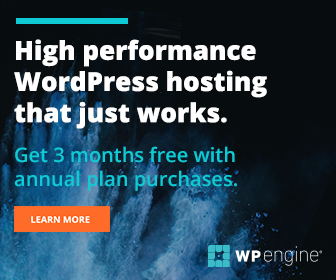 WordPress is quick to set-up, easy to manage, and allows you to install plugins that directly influence both your Podcast and people’s chances of finding it. I personally believe that each podcast should have a website or blog attached to it in some way. Whenever people ask about a podcast, I tell them to integrate it into their current site, or (if they don’t have one or can’t add one to their current site) to start a site specifically dedicated to it. Disclaimer: WordPress, while free to download and use, needs somewhere to live. You can pick up cheap hosting at a few different places. I recommend HostGator. In fact, if you use the coupon ‘binarypodcast’, they’ll give you 25% off! You don’t need much – you will only be creating one website. You also need a domain name to hook it to. For that, I recommend NameCheap. Once you get the domain name and hosting space, you will need to edit the DNS settings. Here’s an extremely easy-to-follow video on how to install WordPress on HostGator. PowerPress is the de-facto standard plugin for doing a podcast on WordPress. It allows you to set files, show notes, album art, and everything else needed to get the show technically sound. It also provides a special feed that only has your podcast on it – which is what we’ll be submitting to directories. This also allows you to run a blog or other types of content concurrently with the podcast – which opens other avenues for people to come and hear your content! Once you’ve installed WordPress, navigate to Appearance > Plugins > Add New and install “Blubrry PowerPress Podcasting plugin”. After the initial install a new option will appear in the left hand sidebar: “PowerPress”. Clicking on it will bring you to the set-up process for the podcast. Luckily, everything is numbered and spelled out for you! …but I’d go ahead and fill in the non-required stuff as well. Upload the video or audio file with the “Add Media” button near the top of the window. Once you’ve done that, you’ll receive a URL. Drop that URL into the “Media URL” box and click “Verify”. The File Size and Duration (if it’s a mp3 file) will be generated automatically. Above, you can fill in some show notes or links for your viewers / listeners. Once you’ve filled in all the details you choose to, hit the big blue Publish button. And that’s it – you’ve officially published your first Podcast! Once you’ve published your first podcast episode, you’ll want to submit your podcast to iTunes. It’ll ask you to sign in and fill out a few forms. Once that’s done and authenticated (usually taking about 3-7 days), you’ll start seeing your podcast showing up in iTunes! I could try and do the legwork on this, but my friend Daniel has an amazing list of podcast directories. Also, if you’re into podcasting, his site, The Audacity to Podcast, has a lot of extremely useful information, so check it out! And that’s it! We’ve walked you through the basics of recording, setting up, and publishing your podcast. You can take your RSS feed and share it to Twitter, Facebook, and any of your other social channels to get the word out. You can also take individual episodes and link to them – which is handy when directing people to certain segments based on their needs. The world is craving your message – you now have the power to take it to them!